How many books does an author need to sell in order to be considered a success? That question has been debated on writer forums, agency websites and author blogs for sometime. All you need to do is type in the question into your internet browser and you’ll find that no one can seem to agree on an exact number. According to Steve Laube of the Steve Laube agency, industry veterans recently deliberated and came up with the number five-thousand. Other sites state that seven-thousand copies mean that you’ve really knocked your book out of the park, though two to four-thousand means that you are a strong seller. Practically no one seems to be able to agree upon a number and here’s why. Book sales, like movies or music, all depends on whose helping produce it, what category it falls under and who is the target audience. While a major publisher might be disappointed by a reader-friendly mystery novel because it only sold four-thousand copies, a smaller publisher might be ecstatic. The same goes for the genre. A first time science fiction book might expect to have at least two-thousand sales within the first year where as a less popular genre such as literary fiction might only aim for one-thousand. Likewise, a children’s book that targets audiences from age three to twelve is forecasted to drive better results than a children’s book that only targets children from the age of five to seven. As you can see, there are far too many moving parts to dictate what number is considered a successful in terms of sales. Other factors include if an author is making their debut, where the publisher plans on allowing the book to be purchased and if the book is being sold in hard cover or paperbacks only. Some publishers calculate advertisement fees, traveling costs and taxes into their estimate on a success while others use regional demographics or even the author’s writing style. There’s almost no limit as to how someone can predict the amount of sales needed for a book to be successful. The question you really have to ask yourself as a writer is WHO thinks it’s successful. While selling three-thousand books in a year might seem amazing to your family and friends, your publisher or agent might think otherwise. My opinion is to ask yourself, “How many books will make my publisher or future publishers happy?” If you’re looking to make this a career, then ensuring that your first book is a success seems to be key. While you never want to stop campaigning for your book, you may be able to relax a little if a publisher decided that five-thousand book sales is enough to offer you a contract for future endeavors. Similarly, if you’re hoping to upgrade to a larger publishing agency in the future, you may aspire to reach a number of sales that they find acceptable for representation. Worry not. I assure you that I have not become some sort of business orientated writer. It’s quite the opposite in fact. The more I deal with manuscript inquiries, agents and advertisement costs, the more I feel that one needs to write because they love it. Let the rest fall in place. Nonetheless, educating yourself on what the publishing world considers successful is a key component to understanding a part of the writing world that you love. So, the next time you feel like putting the pen to paper so that you can spin your next yarn, remember this: the number of sales you might have is what might keep you on the bookshelves, but it’s the number of worlds, plots and character that you create which truly make you a writer. Have you ever opened up some of your long forgotten poems, short stories or novels? Painful right? The document is probably littered with vague pronoun references, unnecessary shifts in tense and fused sentences. Even worse, there are sections of the story that don’t contribute to the plot, insignificant characters and mawkishly sentimental underlying messages. If you’re like me, the first thing you do is plant your face in your hands (a.k.a. the “Face-palm”) and try not to cry. Afterwards, you stare at the Delete button, tempted to obliterate all proof that this story or poem was once yours. Finally, after waging a war with your conscience, you decide to live and let live, leaving the document alone, but lamenting about how terrible your writing once was. But wait, that’s not fair. Your old work shouldn’t be some dark secret that needs to be hidden from the world. It should be a testimony of what you’ve accomplished. Not only did the “old you” put a lot of effort into that story, but the work is a reminder of who you as a writer once inspired to be. It’s a roadmap of your writing life. Sometimes, we as writers are very hard on ourselves. We have to be because we’re constantly pursuing perfection. However, we forget that we didn’t just learn how to write overnight. There wasn’t some magical gift bestowed upon us by a divine being. No, we had to start somewhere and work at it, and those old documents are a symbol of that. For me, once the shock wears off of how bad my writing once was, I realize how beautiful these works really are. Because behind the jungle of grammatical errors and turbulent plot hooks is a vision I once had. I see Justin Alcala, the writer who wanted to give readers a little scare with his horror stories. 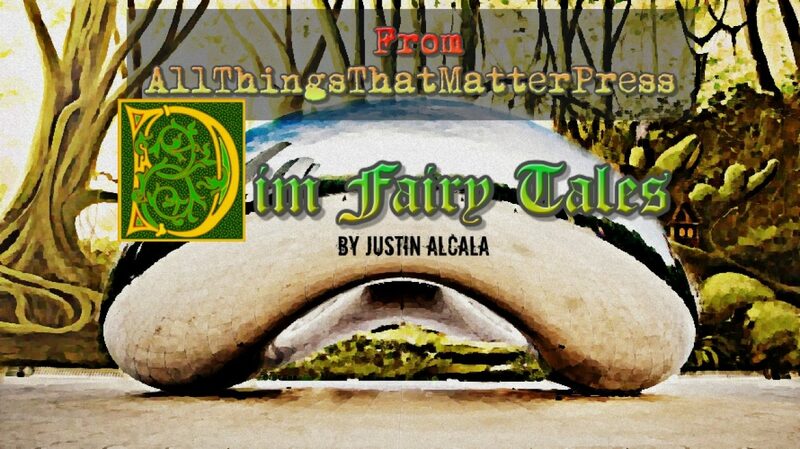 I see Justin Alcala, the yarn spinner who wanted to give a fresh perspective on legends and folklore. I see Justin Alcala, the young man who wanted to make people happy by telling great stories. All too often, we authors get swept away by the power that comes with having your works published. I know I get a real kick out of talking to my publisher about cover art or sending new ideas to my editor. It’s fun to put your work onto bookshelves. But we can’t forget about the fundamentals. We need to remind ourselves why we started writing in the first place, and those old tales are just the thing. So the next time your dusting off an old manuscript, remember what those pages really mean. The words may tell a bad story, but the history of its creation is its own sort of autobiography.